Bus departure in the morning. Bus ride in the direction of the city RIJEKA, visiting Trsat, the famous Croatian Marian shrine of Our Lady and the Trsat Castle. 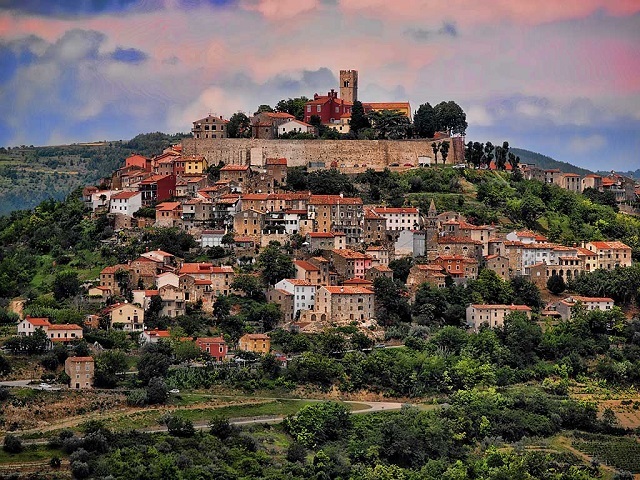 After visiting the shrine, drive to Motovun – a unique town in the heart of Istria, under the protection of UNESCO, located at the very top of the hill above the Mirna River. City tour with local guide and free time to enjoy the view on the valley. Leaving Motovun and traveling to a small Istrian town Livade, known for its truffles and truffle fair. Visit to the farm Zigante – presentation of a truffle searching assisted by a dog, followed by a tasting of truffles and dishes made of white and black truffles. A short presentation of these delicacies with an interesting story of the enologist. Traveling further to town Novigrad – the group will visit the Museum Lapidarium with one of the most important collections of stone monuments in Croatia (there are about hundred monuments, originate from the time from the 1st to the 18th century, half of which are the permanent exhibition in the museum). After the visit, followed by going to the hotel, accommodation in rooms. Dinner at the hotel from the Istrian delicacies of which should be mentioned Novigradska scallops which gourmets consider one of the most delicious mussels in the world due to the mixing of fresh and salt water in Novigrad waters. Breakfast, after breakfast you will go to Poreč – city tour with local guide where we must mention the visit Euphasianian basilica is also under the protection of UNESCO and is an indispensable destination for visitors of Porec. After the tour, followed by a bus ride to one of the typical Istrian village farms where we are welcomed and introduced to the host Istrian cattle – Boškarin, herding donkeys, wine … Follow tasting homemade cheese with olives and truffles, and for lunch we enjoy meals boskarin . After lunch, we will taste two kinds of famous Istrian wines: Istrian Malvasia and Momjan who are the real Istrian pearls. 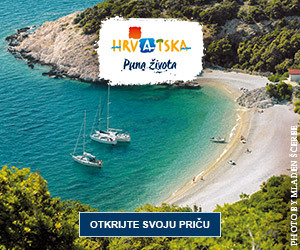 Will continue to drive further south of Istria, we reach the Lim Fjord – bay on the west coast of Istria, which has emerged as the estuary of the river Pazinčica. Boarding the ship and drive channel with an interesting story about the cultivation of shellfish, and the board will enjoy the sounds of Istrian Scale and the Croatian coast – a complex style of folk music, which is based on non-tempered tone relations and a specific color of the tone in vocal music achieves strong singing in part through the nose, and as such is under UNESCO protection. Apart from the sounds duet taste and we Bisk, homemade Istrian brandy is made from mistletoe and three types of grass. Driving Lim canal ends in Rovinj, where we visit the Ecomuseum Batana House – interpretational and Documentation Centre eco-museum, which is located on two floors of a typical Rovinj house and suggests integration Ecomuseum in the daily life of the city and its citizens. Multimedia permanent exhibition covers an area of one hundred square meters and includes three gallery spaces, a tour with a professional guide hostess.After the visit, followed by a bus ride to Pula, accommodation in rooms. Dinner and overnight. After breakfast, city tour of Pula with a professional guide, where we must mention the visit to the amphitheater, the largest and best preserved monument of ancient architecture in Croatia. After a city tour, followed by a bus ride to Fazana where we expected at the tavern lunch of Istrian delicacies: Istrian prosciutto, Istrian pasta and pork loin, which are part of traditional Istrian cuisine. After lunch, board a boat and tour the Brijuni National Park – a tour of the park lasts 4 hours and includes a boat ride, ride the tourist train and on foot. After the tour, return to the mainland, and continued on to the village by bus departure. – the preparation and organization of the trip. I want to receive information about special offers agency Media Tourist d.o.o. By sending this inquiry you agree to the Terms of Media Turist travel agency. Share the post "Istria in thousands of tastes"